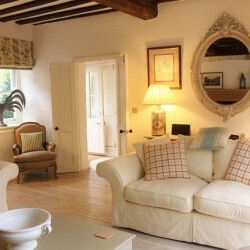 We are proud to be the only company specialising in luxury self catering holidays in North Norfolk. With a huge selection of beautiful hand picked Norfolk holiday cottages in stunning locations and a habit of going the extra mile for customers. You can depend on us for an unforgettable experience… we really do have the cottages others long for! 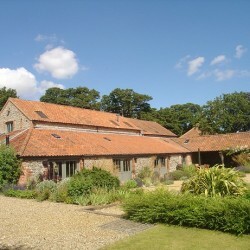 The Best Norfolk Holiday Cottages. We have a wonderful range of cottages, from romantic retreats for two to luxury houses sleeping up to 14, available for weekend getaways, midweek breaks or full week holidays. To ensure we offer our guests the very best cottages in the Blakeney area we hand pick every property, and only a small percentage are approved and make it onto our website. We are confident that we have the best selection of perfect hideaways. Take a look at our property page to judge for yourself! We specialise in properties situated both on the beautiful North Norfolk Coast and the pretty unspoilt villages inland within a ten mile radius of Blakeney. This coastline is designated as an area of outstanding natural beauty and some of our cottages have amazing sea and salt marsh views. Our properties are located in Blakeney village and the surrounding coastal villages such as Cley next the Sea, Morston and Salthouse. The cottages inland are either situated in pretty little villages and towns or in stunning rural locations with beautiful unspoilt countryside surrounding them. All are within easy driving distance of the coast. Our aim is to offer our guests an exemplary service, you will find us proficient, friendly and well informed. We always take the time to fully understand our guests individual needs in order to match you with your perfect holiday cottage. We know all of our cottages inside out and can answer most questions you may have about individual properties on the spot! It is this attention to detail which gives us an unrivalled reputation and why so many of our guests return to book with us time and time again. We really do care about you. Let us know if your trip is for a special occasion or anniversary and chocolates, flowers, champagne and candlelit dinners can be arranged to make your stay full of happy memories. Delicious celebration meals can be catered and served in your own cottage, special picnics made up for you, and cakes baked and delivered for your special day. To make life easier for young families we can supply cots and highchairs. 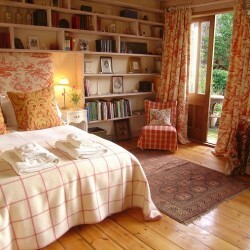 We are also able to advise guests on properties that are suitable for older or less able visitors. Our offices are next to The Quay in the heart of the beautiful village of Blakeney. From there our helpful staff are on hand to answer any queries you have both before and during your stay. If you are visiting Blakeney pop in and have a coffee with us and find out more about the area and our stunning cottages. Now you know about us, it’s time for us to find out more about you. Call 01263 741777 to let us know what you’re looking for and we’ll find a property which perfectly suits your requirements.